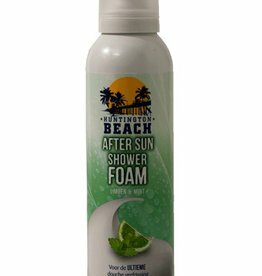 Enjoy the sun in a responsible way with Huntington Beach sunfoam! 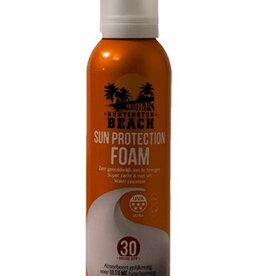 Huntington Beach sunfoams are developed according to the latest Colipa standards for sunscreen products and are water resistant. 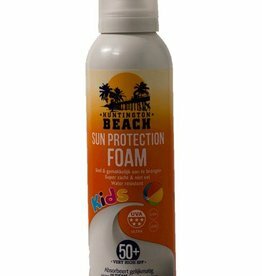 Huntington Beach products are a pleasure to use - super easy to apply, great coverage and no stickiness. 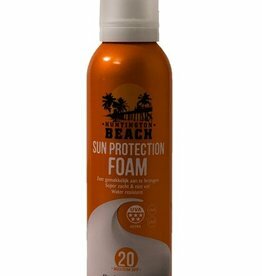 The Huntington Beach foam provides clinically proven protection against the harmful effects of the sun. 5 stars prized UVA filtration + vitamin E, UVB filtration to prevent the skin from burning. The sunfoam of Huntington Beach is suitable for all skin types & for children. Avoid excessive sun from 11 am to 3 pm and do not stay in the sun any longer than your skin type allows, taking into account the power of the sun and the geographical area in which you are located. Children under the age of 12 months should not be exposed to direct sunlight. How is the zonnebrandcr è apply to me? ✓ Apply the foam to clean and dry skin. ✓ At least 15 minutes before you go in the sun or swim. ✓ Apply enough foam, especially in sensitive areas such as your nose, ears, head, shoulders, breasts and feet. ✓ For extra safety we recommend re-application after swimming, excessive perspiration & after drying. ✓ Not applicable to damaged or tanned skin. The benefits of Huntington Beach sunburn in a row! ✓ developed according to the most recent Colipa standards for sunscreen products. Do you have questions about the sunscreens of Huntington Beach? Then contact us.